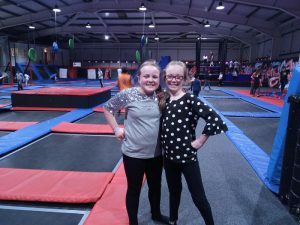 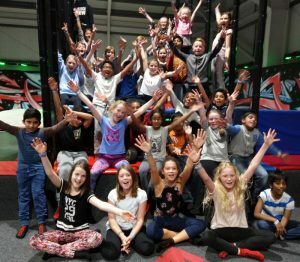 On Wednesday 29th November 32 young people from the Seekers youth group came with us to Energi Trampoline Park. 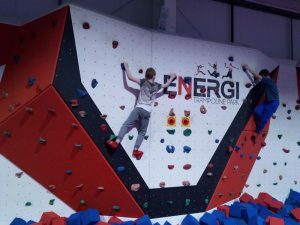 This group have huge amounts of energy to burn off so this was the ideal place for them! 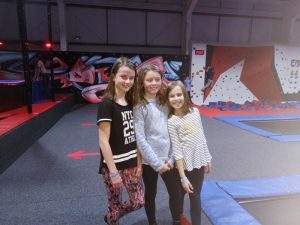 I was very impressed by the skills that many of them had – including even a backward somersault landed perfectly by one of them! 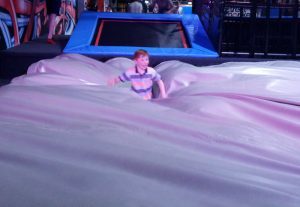 I have lots of very blurred photos from trying to capture their fun as they moved way too quickly for my skills…However here are a few that came out okay. 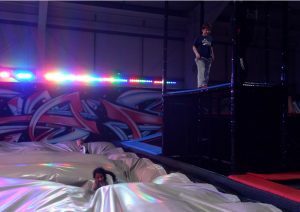 It was a great evening with lots of very hot and tired young people at the end!